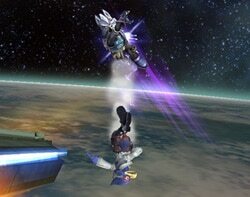 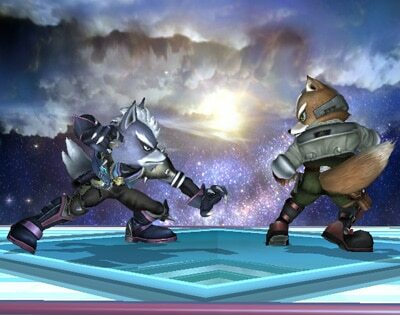 Among the playable characters from the Star Fox universe featured in Brawl, Wolf weighs in as the biggest and heaviest. 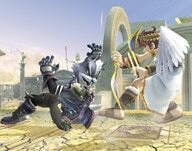 However, because his basic stance keeps him very low to the ground, you may not feel like you’re handling a large character. 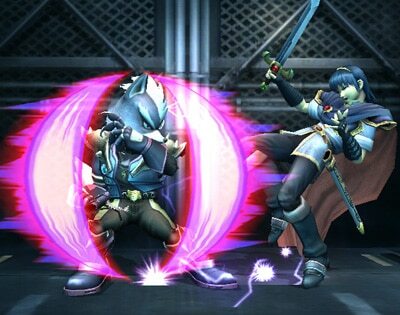 Wolf bends at the knees to keep his fighting stance low. 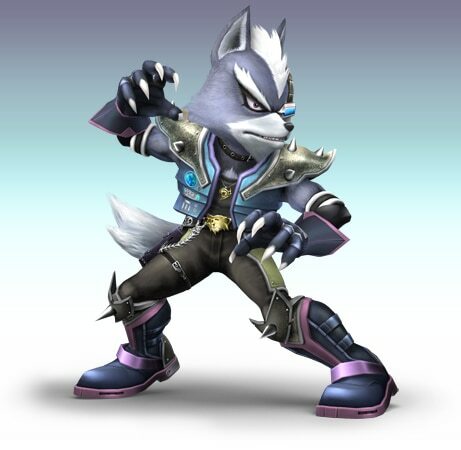 Wolf is one of those characters who makes up for what he lacks in speed with a little extra brute force, if you know what I mean. This claw can damage enemies close enough to make contact with it when Wolf fires his blaster. 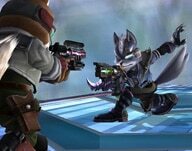 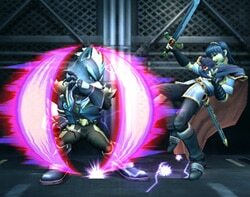 Wolf will then proceed to follow up the attack with a blaster shot to the stunned opponent. The blaster fires shots one at a time. 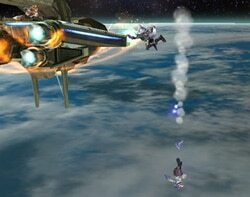 The farther the shot travels, the less damage it will do upon impact. 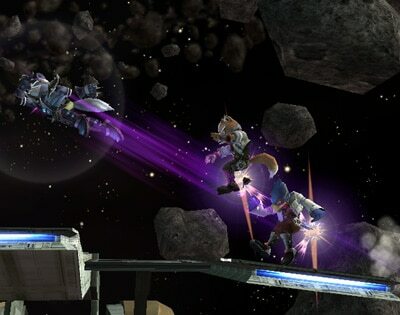 When you use Wolf Flash, Wolf jumps upward at an angle in the blink of an eye. 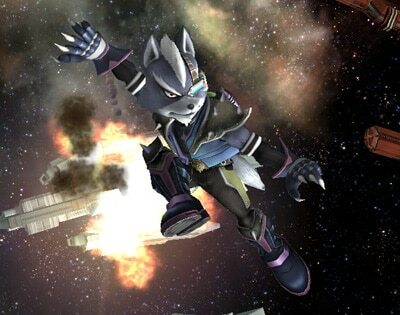 Wolf delivers a huge meteor smash at the end of his jump! 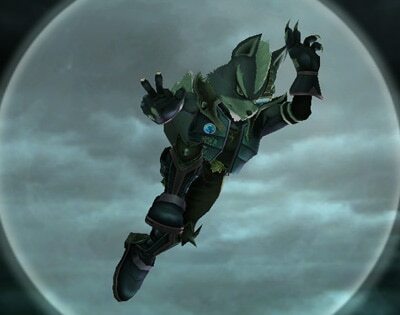 It’s a truly difficult move to master, but players who can consistently connect with Wolf Flash will find themselves in command of a frighteningly powerful technique. Then grab the closest edge to save yourself. And follows up by zapping ‘em with his Reflector!! 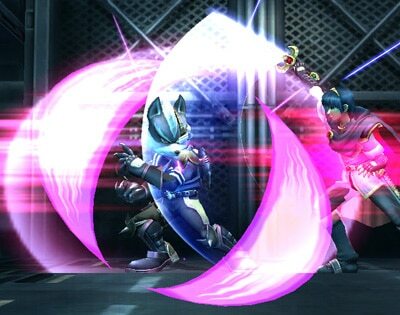 The Reflector itself doesn’t hurt all that much, but it has a bit of range to it, which makes it a great technique to use on opponents who want to control the match. Give it a shot next time you want to change the flow of your fight. Wolf's Landmaster has bright red highlights! 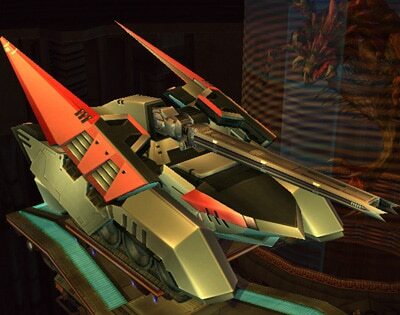 Wolf’s custom Landmaster was designed to mimic the color scheme found on Wolf’s personal craft, the Wolfen. 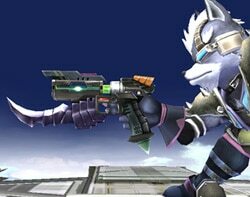 So, how exactly is Wolf’s Landmaster different? If you want to know the details, check out the explanation attached to its trophy. Wolf’s vehicle outperforms Fox’s and Falco’s Landmasters in the areas of firepower and mobility. 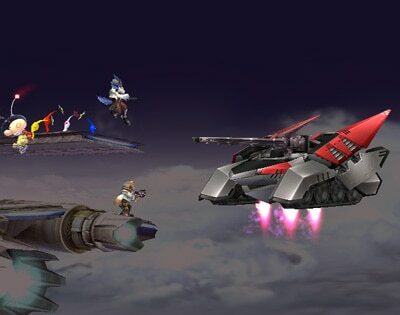 However, all these upgrades require a commensurate increase in fuel consumption, which is probably the reason Wolf’s Landmaster stays on screen a shorter amount of time than the other two. Wolf’s Landmaster’s boosted specs can also help you recover faster too!